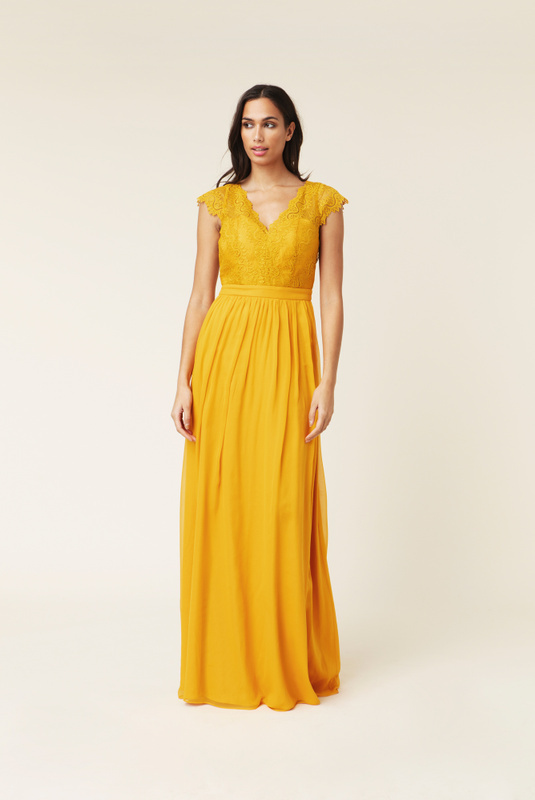 An ethereal elegance, this Anaïs maxi dress is no exceptios. It has a floral-embroidered lace bodice with delicate v-neck. The balletic skirt is lightly fluted and defined by a grosgrain waistband. Lace detailed open back. Wear it at your next party with a pair of heeled sandals.